New York Giants backup quarterback Kyle Lauletta has been charged with eluding police, obstructing justice and resisting arrest after nearly running down a police officer in Weehawken Tuesday morning. When the hell did this franchise become the Mets/Jets/Knicks/Nets..... ?!?! 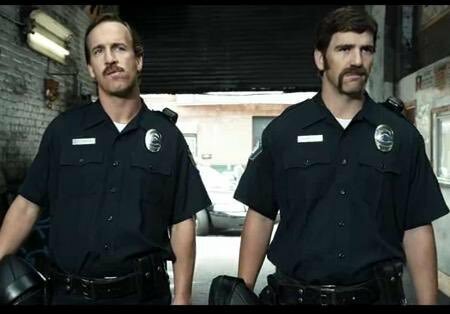 Lol...I was going to say the cops are either Eli fans or jets fans trying to keep Eli in there. Can't say this is all tied to Wellington considering they won two titles after. At least time line wise seems like it ties to Coughlin not benching Beckham on the Norman game. That pic has been posted all over the internet for this. Nj.com stated the below so maybe the cops were looking for him. A person with knowledge of the police's concerns about Lauletta's driving told NJ Advance Media the Jaguar that Lauletta was driving has been spotted in different areas of Weehawken driving fast and recklessly before the incidents this week. The person, who was not authorized to speak publicly, requested anonymity. All times are GMT-5. This page was generated at 06:56 PM.